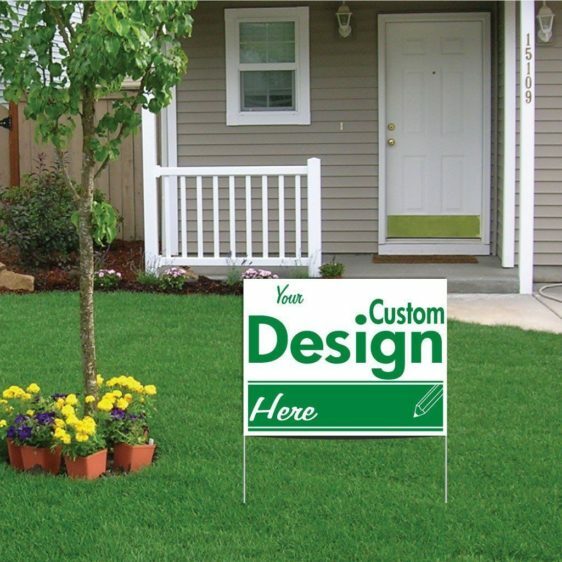 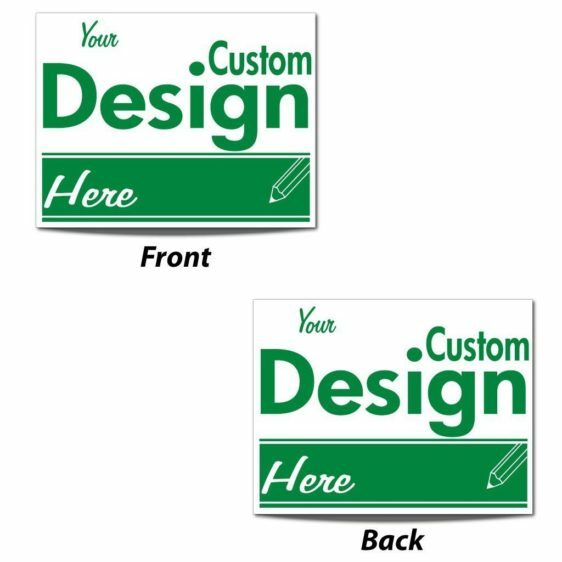 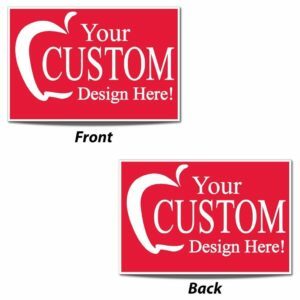 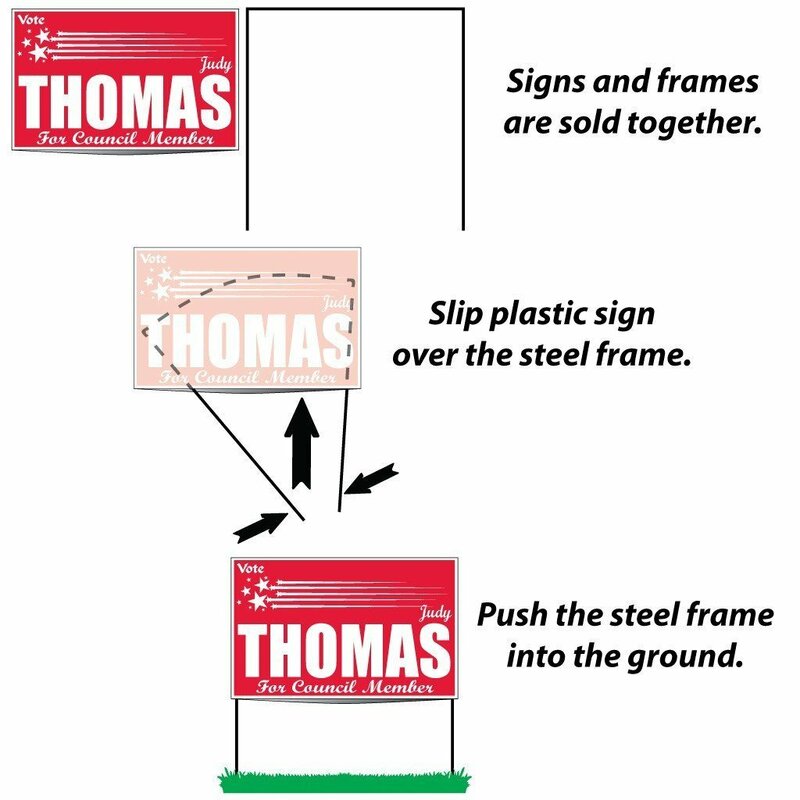 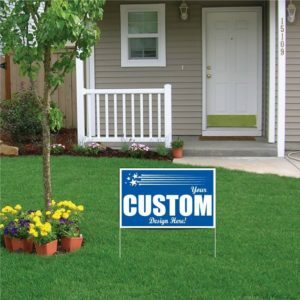 Personalized 20x26" Polybag Yard Signs are printed on two sides and come complete with a 9 gauge wire frame! 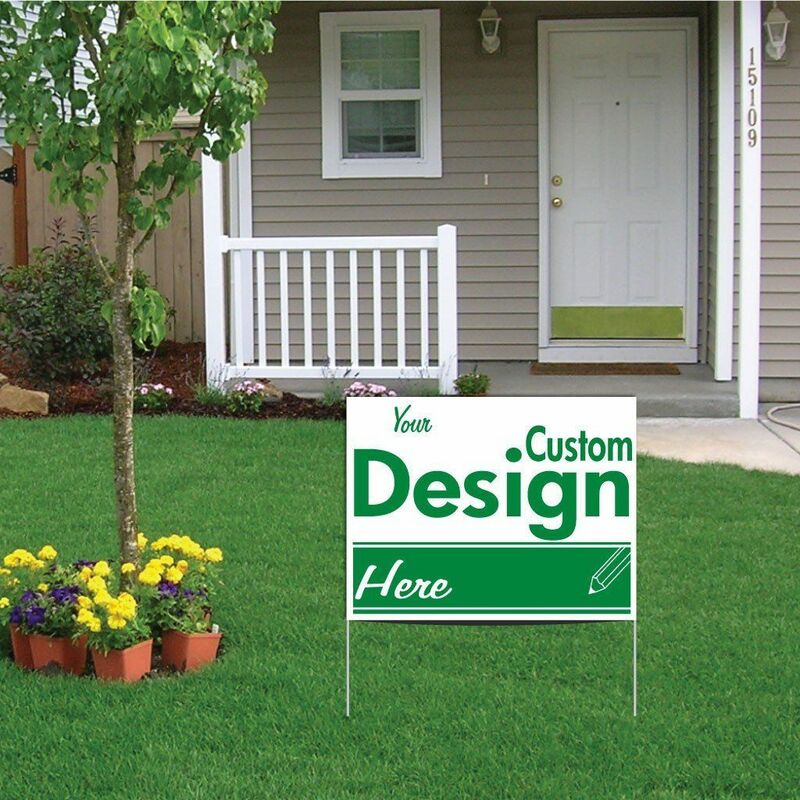 The Polybag is sunblocking, white/black coex LDPE, .003 mil. 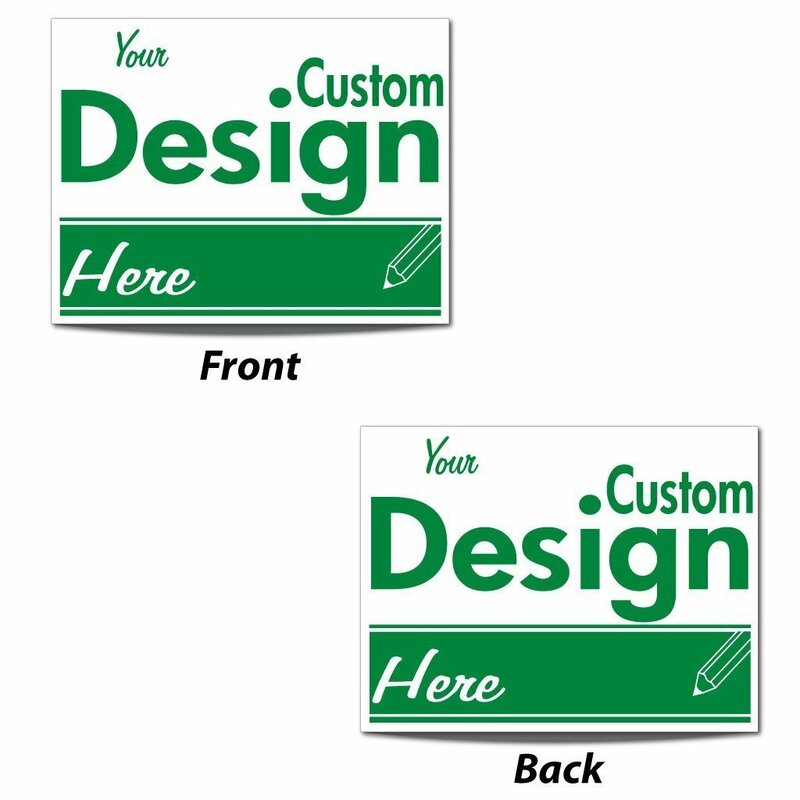 Minimum order of 500. 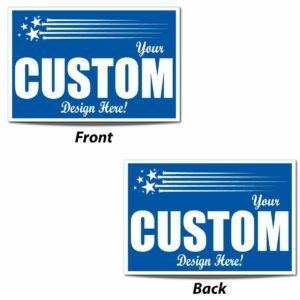 Exact quantities shipped (no overruns/underruns on this product.) 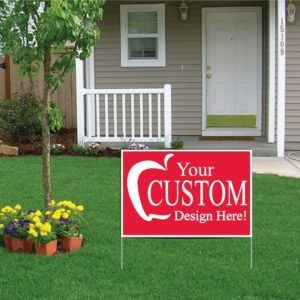 Great for campaign signs, home improvement ad signs, event signs, signs for your business or cause. 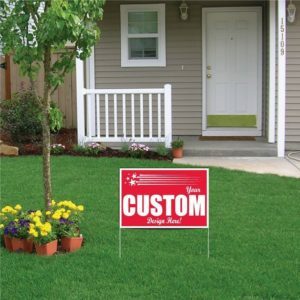 Being weather-resistant and reusable makes them polybag yard signs a great choice!